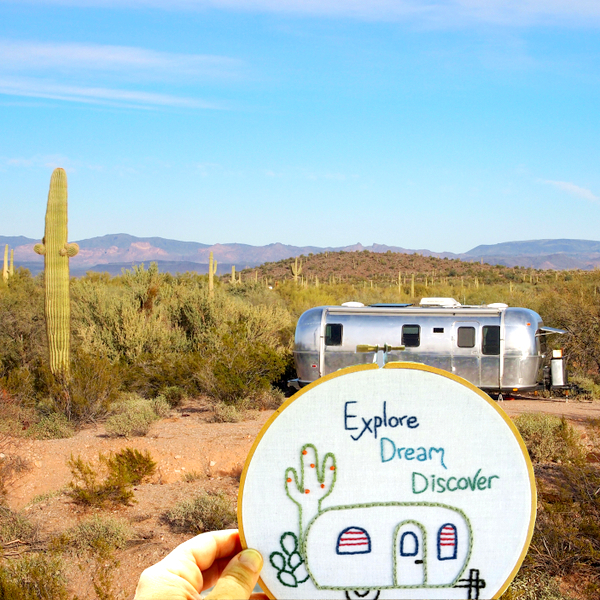 Based out of an Airstream travel trailer, Wandering Threads is your source for travel and nature-inspired embroidery patterns. Our goal is to foster a passion for the art of embroidery through creative designs and simple tutorials. Welcome to Wandering Threads! 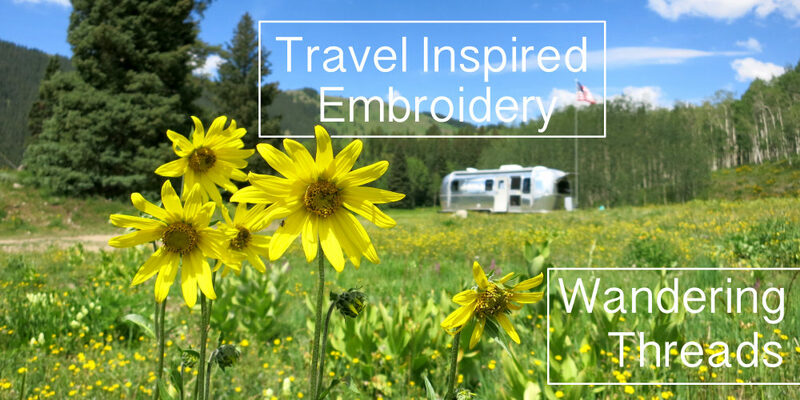 My name is Amanda, and I’m the founder of Wandering Threads, a place for travelers and dreamers to discover one-of-a-kind embroidery patterns. For as long as I can remember I’ve been inspired by the act of turning strands of thread into works of art. 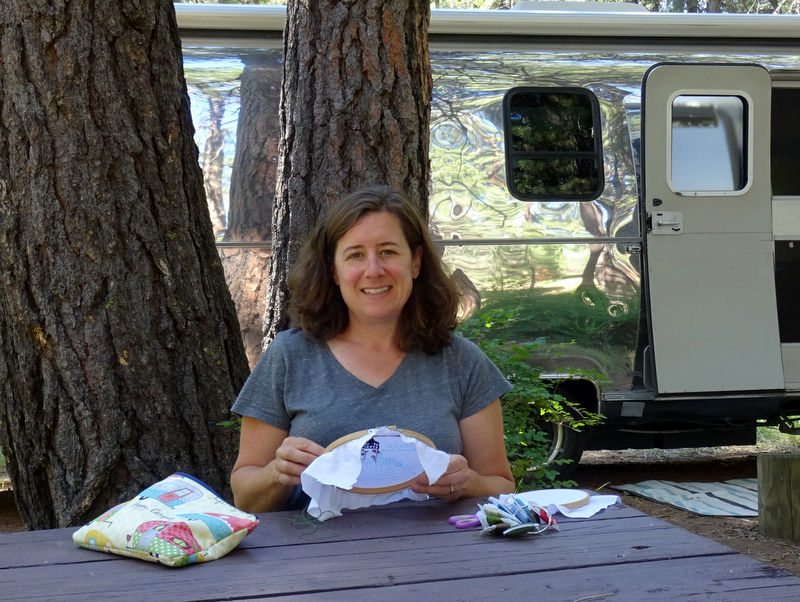 In 2012, my life took a turn when my husband and I sold our house, pared down our possessions and began traveling full-time in our renovated Airstream. In an effort to find an art form that would fuel my love for working with needle and thread while living in a small space, I turned to embroidery. From the very first stitch, I was hooked. I started designing my own patterns right away using my surroundings as inspiration. 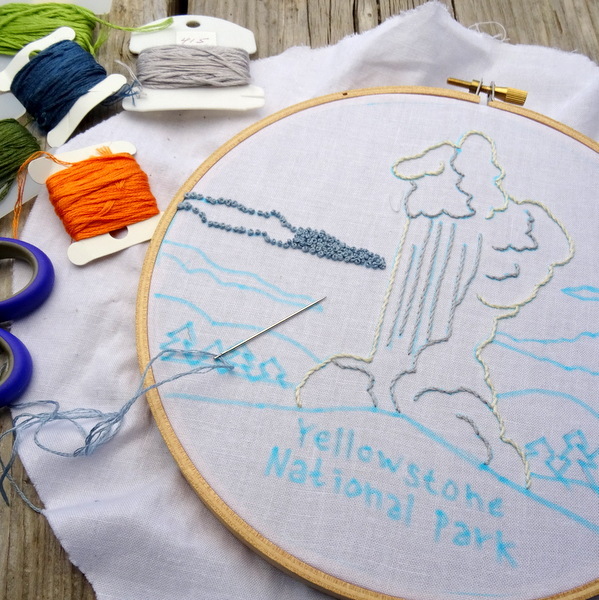 Objects in nature quickly became my favorite embroidery subjects. I rose to the challenge of finding just the right stitch to create the texture of a cactus thorn, a delicate mountain wildflower, or a dusting of snow atop a jagged mountain peak. From the beginning, my dream has always been to share embroidery with the world. I hope to encourage others to embrace the art of embroidery by sharing my designs and offering simple stitch tutorials. 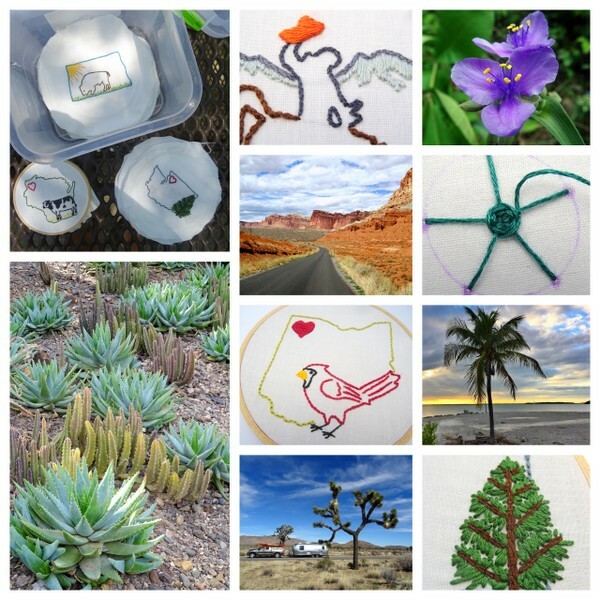 I created Wandering Threads with the goal of developing a community where travel, nature, and embroidery come together to create amazing works of art. At Wandering Threads, I take a four-part approach to the creative process. Inspire: As I travel around the country, I always look to my surroundings for inspiration. Each pattern is crafted with the intent of representing the place it depicts. Teach: By creating simple-to-follow tutorials, I hope to demonstrate that embroidery is a craft anyone can master. Share: My comprehensive downloadable PDFs contain a custom pattern, stitch suggestions, and tips for pattern transfer. Create: With these tools, creating a one-of-a-kind embroidery piece is as simple as picking up a needle and thread.